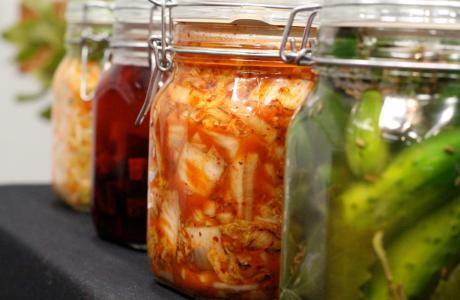 Fermenting vegetables is made possible with lacto-fermentation, a process of preserving food that allows it to retain its nutrients for a long time. This is a great way for keeping nutritious food at home easily accessible all year round, especially with fresh produce. 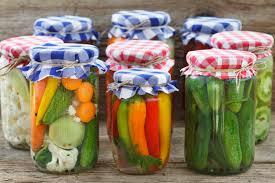 Fermenting vegetables only needs a container (preferably a glass jar) with an airtight lid, and a good chopping knife to get the vegetables to the right size that will allow them to ferment more easily. One of the best things with fermenting is that you can do it with any vegetable. You can choose to grate, shred, chop, slice, or even leave it whole. You can even ferment different vegetables in the same container! There are three different brines that you can use: salt, salt and whey, or a starter fermenting culture (these are used for fermenting different vegetables and producing different finished products, but work more or less in the same way). If you plan on using salt for fermenting, be sure to focus on the right kind of salt, as well as the right amount for the brine. Once done, prepare your brine with water. Weigh the vegetables under the brine and keep them in an environment without air for the fermentation process (that means keeping the lid sealed tight). 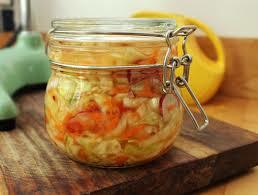 Once the vegetables have finished fermenting, place them in a refrigerator or in any cold storage place. •	Aroma – Smell will be your biggest indicator for knowing if your vegetables are still good or have gone bad. If it’s still good, they should release a sour, vinegary aroma. However, if your vegetables smell like spoiled food, you should discard it. Be sure to clean your container thoroughly and try again. •	Bubbling – Lactic acid bacteria release gases when breaking down the vegetables, and seeing bubbles is often a good sign that your fermentation is going well. •	Flavor – Once the vegetable ferment appears bubbly and has that sour-but-pleasing aroma, do a taste-test. Be sure to do this every day until you come across the flavor you like. Fermenting food is a process that has been around for a long time, and when you plan on getting started, keep in mind it’s going to take a while to get to the finished product. However, once you do, the results will be both delicious and certainly rewarding.